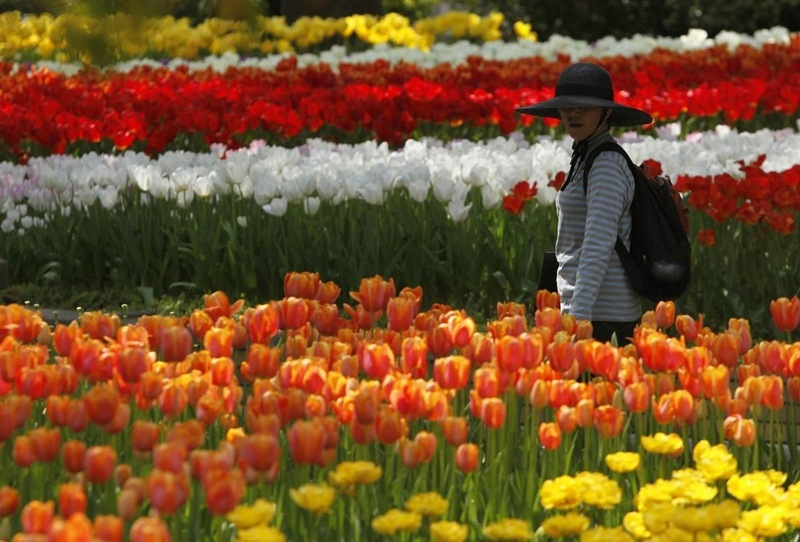 Every year, Srinagar’s Indira Gandhi Tulip Garden on the banks of the Dal Lake are planted with over 1.5 million tulips, creating the largest public display in Asia. 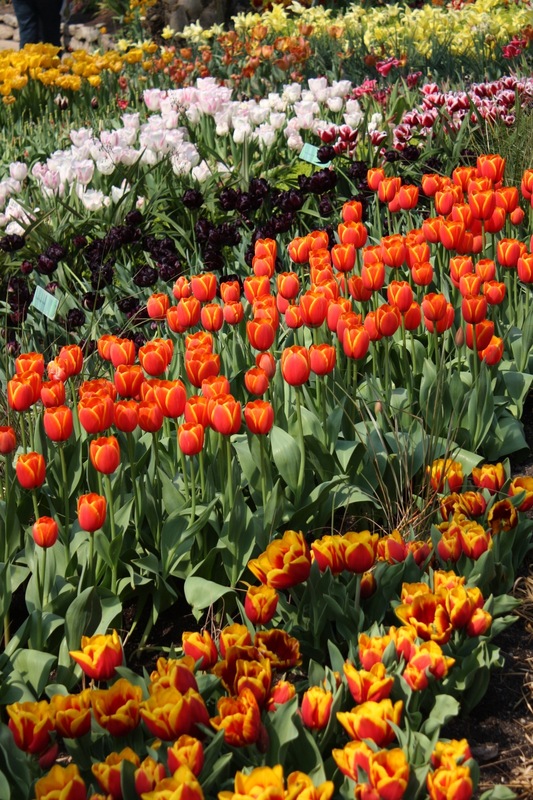 One hundred varieties are imported from Holland, the flowers attracting thousands of visitors during the first two weeks of April. 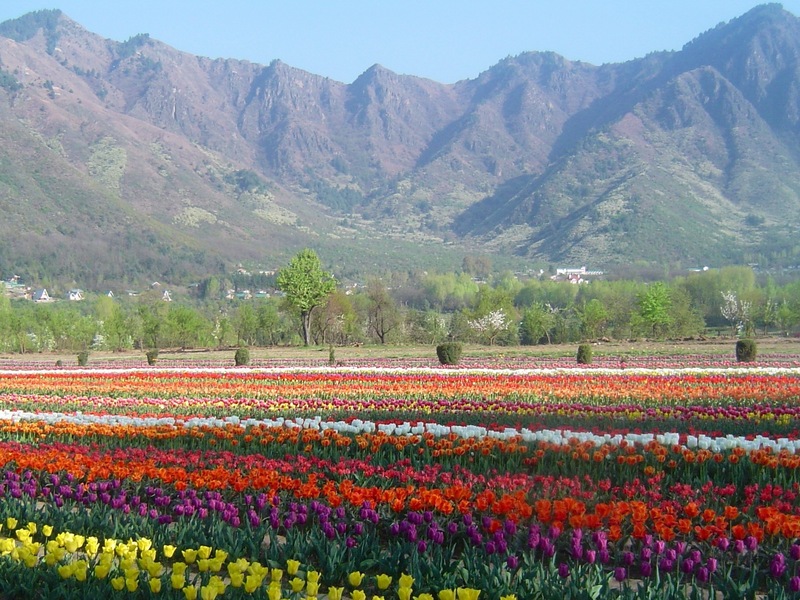 Only the Himalayas in the background give a hint that this is Kashmir, not the Dutch bulb fields. Absolutely gorgeous. It’s always a good way to start my day by looking at your photos. Spectacular -specially the one with the mountains in the background! I left a whole load of negatives with our local photo shop before we went away, so will be really interested to see how well they convert to digital. Sifting through them all brought back lots of happy memories and forgotten moments. OK so this was on a previous visit… I’d wondered how you’d found the time! It is quite bizarre though to think that all the expense is gone to for a random if beautiful effect. Indeed, I don’t think I could have taken any more mountains on this trip!